In this unique video interview with internationally renown baby whisperer, Ray Castellino, viewers discover the “Blueprint” or the unifying field we all carry with us as a “reference point” for returning home to ourselves, especially after trauma, or just the daily experience of living in an industrial culture. 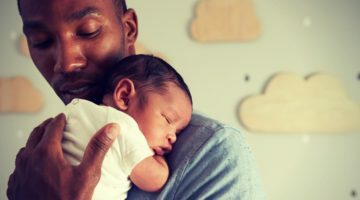 Castellino begins by moving into the broader understanding of the Blueprint, with its natural resonances and rhythms, and how this awareness supports parents wishing to connect with their babies, especially babies who are finding challenges in birth recovery or breastfeeding. The insights Castellino presents are profound, but practical. This video is produced to assist the viewer “feeling” into the experience of the Blueprint, with a slow and calm pacing, including the introduction’s slow moving dandelion seeds blowing in the wind with chimes tinkling in the background. We don’t recommend operating heavy machinery or driving while listening to or watching this video, ha. No really, it is our wish that you follow Castellino suggestions and feel into the downshifting and self-regulation that is possible when following his voice, pauses and pacing. But as Castellino says, the Blueprint IS experiential and while we can discuss the map, your experience is the territory. The “Blueprint” has been recognized and named by other human consciousness pioneers throughout history. Joseph Chilton Pearce called it Nature’s Agenda. 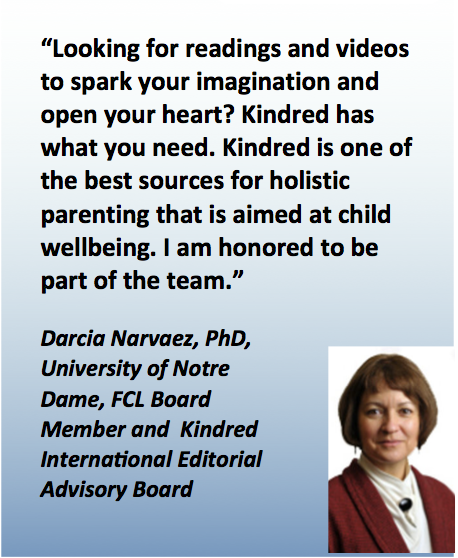 Darcia Narvaez, PhD, calls it the Nest, meaning the cultivated field surrounding and supporting the family bringing a new life into the world. Buddha called it the Beginner’s Mind, a place we return to for grounding to facilitate openness. All of these phrases point to the grounded expansion possible in our own neurobiology when we return our attention to our bodies, whose life force is connected to all of Nature’s cycles, rhythms and nourishment. 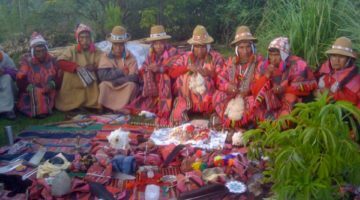 There are other phrases as well, and it is best to think of the territory being explored here as the old tale of the blind men feeling parts of the elephant and then sharing their insights and experiences of their part. This sharing and exploring together is exciting and fun, or can be when protectionism and industrial ideals of competition and branding are discarded. 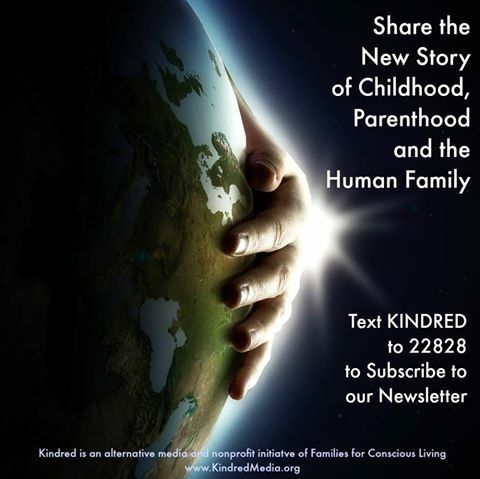 Kindred is exploring the blueprint with the Association for Prenatal and Perinatal Psychology and Health as a part of our nonprofit collaboration to bring forward the empowering insights of birth psychology in our New Story of Childhood, Parenthood and the Human Family. 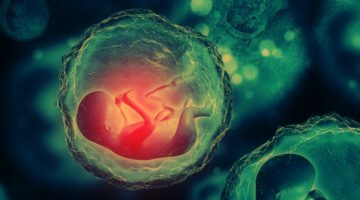 You will find references to the Blueprint appearing throughout the realms of psychology today as the territory of transgenerational trauma, the ACE Study (Adverse Childhood Events), and the documentary In Utero, explore the Imprints on our Blueprint. 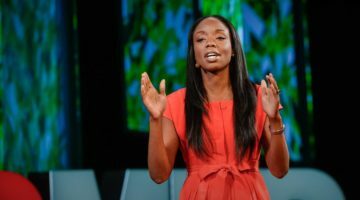 We think it is important to hold up the Blueprint beneath the Imprint for a more holistic and complete understanding of what is possible for human wholeness and wellness. 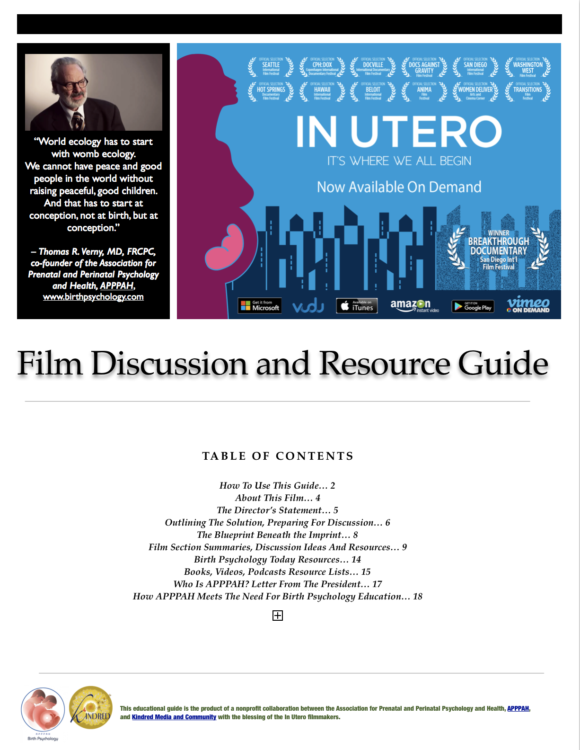 If you wish to delve into birth psychology with a group, consider using the new In Utero Film Discussion and Resource Guide found here: http://bit.ly/2gYI72Q. The film study guide features a section on the Blueprint, as well as thoughtful discussion ideas. 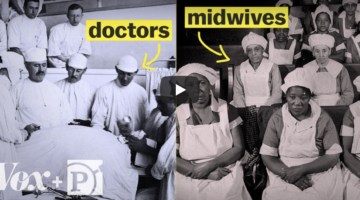 The award-winning documentary In Utero covers the Imprints we can experience to our Blueprint prenatally, and transgenerational transmission of trauma. An In Utero 2 is planned to cover the Blueprint and the current modalities for healing and returning us to our capacity for wholeness. Our thanks as well to The Haven for the space to film. 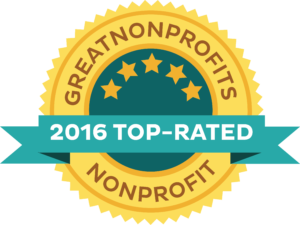 The Haven is a multi-resource day shelter for the homeless in downtown Charlottesville, VA. 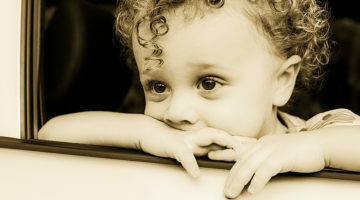 Please visit their website at www.TheHaven.org. We develop secure attachment with an unstressed, present caregiver, ideally or mother and her partner. 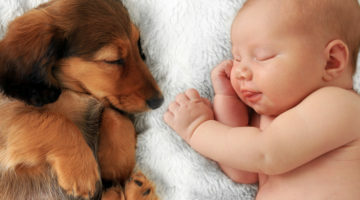 We are cherished from before our birth throughout our whole life. We trust our body to return to health should we become ill or stressed beyond our functional range. The baby is placed on the mother right after birth, and the cord stops pulsing before being cut. The community comes around the new family with services and food to nourish and support. Totally agree with the article. Lotus birth honours the integrity of the organism and imprints the wonderous stillness and connection that we crave. I’ve never seen a 6month old who is ready to be left by its mother. In nature the young leave the parents when they are ready whereas humans are leaving their babies earlier and for ever increasing lengths of time.